south suburb of Chicago. Which means I showed them an image of the book cover illustrated by Christian Robinson, read them the first razzle dazzle pages, and danced the Charleston. 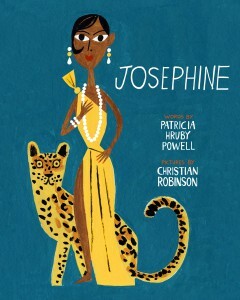 Josephine (Chronicle Books) will be released in October 2013. In the assembly presentation for the 6th -8th graders I told them about my research for my newest book, Loving vs Virginia. They seemed fascinated. The population of Central Park School is one third black, one third Hispanic, and one third white. The diversity is terrific. So yeah, they’d be interested in Richard Loving (white) who married Mildred Jeter (“colored”). The couple was arrested in their bed, for being married in Virginia in 1958. It took nine years for their case to go the US Supreme Court and for a ruling in their favor. All that time Mr. and Mrs. Loving (yep Loving—perfect name) could not live together as a couple in Virginia. They were very much in love. In those nine years of struggle they were raising three children, but had to live in Washington DC or hide while in Virginia to avoid being re-arrested. 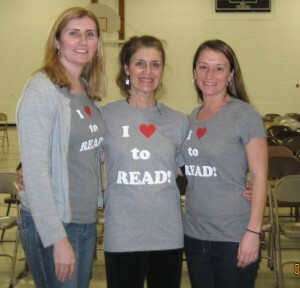 Family Reading Night at Central Park School, on February 12 brought out 38 families as well as the Honorable William Davis, Illinois State Congressman. The Congressman spoke about the benefits of reading and his work to fund education, so I figured he was a democrat, which he is. So I commended him. Actually I might have said something like, “Great, I love you.” But it being just before Valentine’s Day, I wasn’t arrested or anything. and the whole rest of the staff. And the students. You are great! A very big congratulations on a very big achievement! What a great topic Baker is, in social history and in art, on beyond simpler civil rights and feminist models. It will be great to see the book itself in October! We are anxiously awaiting Josephine’s release! What a wonderful person to do a book on. I can’t wait to see it.